It is said that good things come in small packages. How about tiny packages? 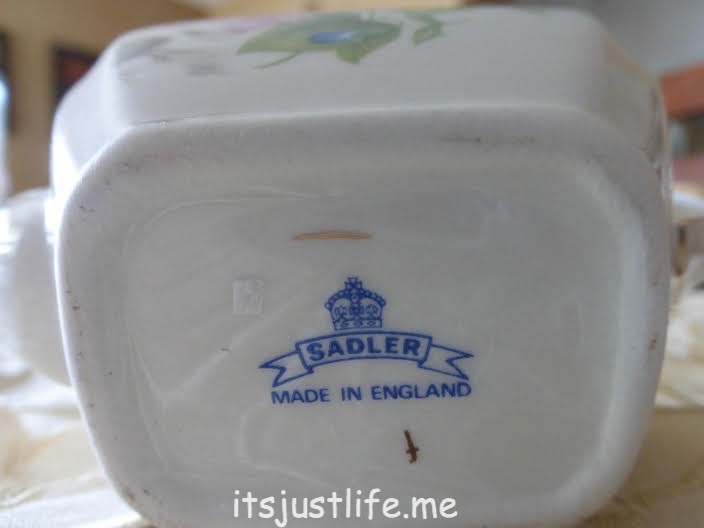 This adorable little Sadler teapot is one of the smallest in my collection and I seriously doubt that it would fill even a doll cup but isn’t it a cutie??? 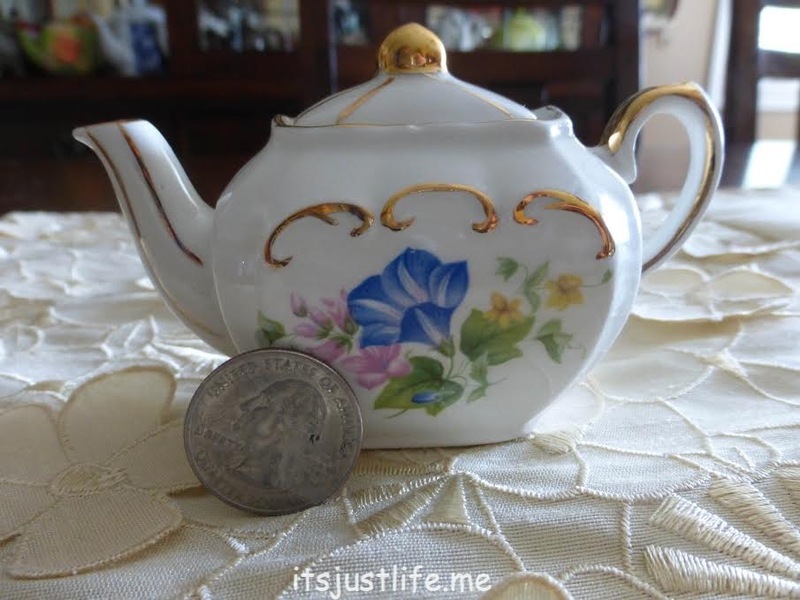 Little gold detail and painted morning glories make this little pot one of a kind and easy to fit into a tiny space. It really has a lot of detail for the size of it, doesn’t ‘it? Thanks, Laura. Heading over now to read your beyond the pale!!! I agree. Totally cute. Perfect for a child’s tea party. I love the gold art in the design! It makes it pop, doesn’ t it? I love it! Maybe this was the inspiration for the British phrase “a spot of tea”. 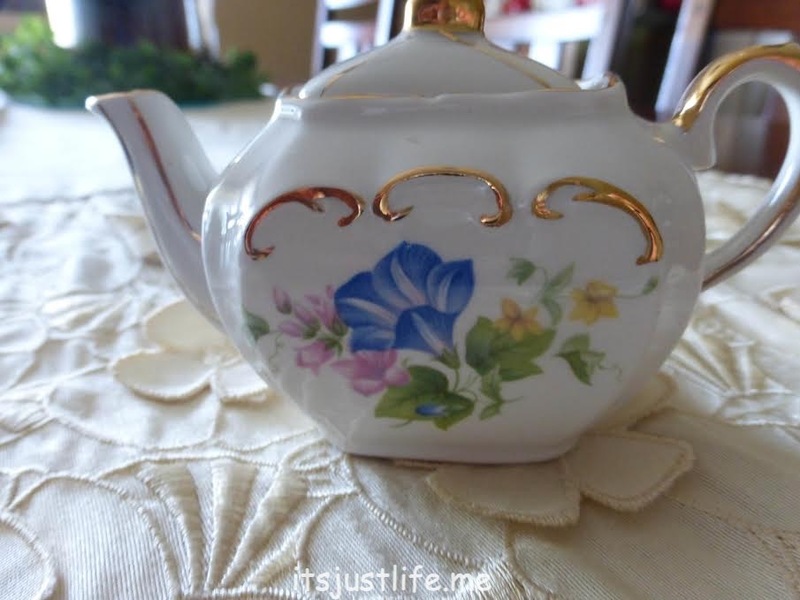 That is the sweetest little teapot! Thanks Dianna! I think so as well. I should have made a tiny cup of tea in this pot when you were gone. You would have had a hard time finding it because it is so small! Thanks! I heart it as well.